WASHINGTON, DC and MEDFORD, MA--(Marketwire - March 10, 2011) - At the 50th Anniversary of the Annual Meeting of Society of Toxicology (SOT), Hepregen Corporation announced today the successful use of its HepatoPac platform in an in vitro study demonstrating the species-specific liver toxicity of Fialuridine (FIAU). The results of the study are being presented today in a poster session. Hepregen Corporation is a leading provider of bioengineered solutions that increase success in drug development in order to improve patient safety. Researchers from Hepregen Corporation, in collaboration with Alnylam Pharmaceuticals, investigated the acute and chronic toxicity profiles of FIAU and several analogues in Human and Rat HepatoPac. Using multiple endpoints, FIAU exhibited acute (4 day) and chronic (15 day) dose-dependent toxicity in human HepatoPac. The toxicity was specific to FIAU alone, whereas other nucleoside analogues did not cause toxicity to the same extent. By contrast, Rat Hepatocytes in the HepatoPac platform were not affected by FIAU in the short term and were only mildly impacted chronically, mimicking the species specific in vivo observations. FIAU, a nucleoside analog that demonstrated promise as an anti-viral therapy, was pulled from clinical trials in 1993 after severe unexpected liver toxicity was observed in patients. No in vitro or in vivo preclinical models predicted the liver liability that was observed in the clinic. Hepregen Co-Founder and Director of Research, Salman Khetani, Ph.D., commented on the toxicity study, "Traditional in vitro models are very poor predictors of what will be observed in vivo and in the clinic. This study clearly demonstrates the predictive power of the HepatoPac platform." Co-Founder, President and CEO, Bernadette (Bonnie) Fendrock added, "This collaboration is an excellent example where we have been able to demonstrate the significance of Hepregen's HepatoPac platform. This work combined with validation work from many other companies supports Hepregen's goal -- helping our customers reduce risk and increase confidence in drug development so that they can provide the safest drugs to patients." Traditional methods provide limited insight into clinical outcomes with sensitivities as low as 50%. As a result, liver liability remains a significant cause of costly delays and attrition in drug development. HepatoPac addresses this fundamental problem of discordance by providing tighter correlation between in vitro metabolism and safety studies, and the results seen in vivo and in the clinic. HepatoPac is a microliver platform for use in clearance predictions, metabolite profiling, transporter studies, and toxicity determination during the drug development process. The technology behind HepatoPac creates a microenvironment where primary hepatocytes (both human and animal) remain viable and physiologically functional for several weeks. Hepatocytes in traditional cultures begin to die within hours of being put into culture. The long-term stability and biochemical fidelity of HepatoPac allow for uptake, efflux, metabolism and toxicity studies that mimic in vivo situations. A whitepaper on the technology is available at: http://www.hepregen.com/events. Hepregen's mission is to translate the value of its technology platform to improve the safety and efficacy of drugs in development with greater economic efficiency and significant impact on patients' lives. The company is focused on advancing and commercializing its microliver platform, HepatoPac™, into the drug-development pipeline of pharmaceutical and biotechnology companies. Hepregen's platform technology offers the potential to deliver a breakthrough technology for toxicity screening and a new platform for drug discovery. 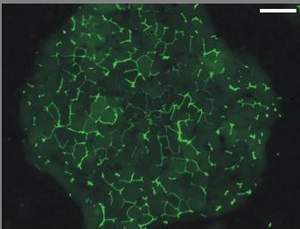 It combines sophisticated biological and engineering technologies to create an in vitro liver model which closely mimics many key functions and features of the human liver. Currently, Hepregen is partnered with over 15 pharmaceutical companies using the HepatoPac technology, including Pfizer, Alnylam Pharmaceuticals and Sanofi-Aventis. In 2008, Battelle Ventures spun out Hepregen Corporation from the Massachusetts Institute of Technology (MIT), and led the company's Series A financing. The company is currently raising its Series B financing. Hepatocyte colonies in HepatoPac form a defined bile canalicular network, allowing for accurate modeling of drug transport in the liver. Precise micro-patterning in HepatoPac creates a defined architecture of hepatocyte islands surrounded by stromal cells. 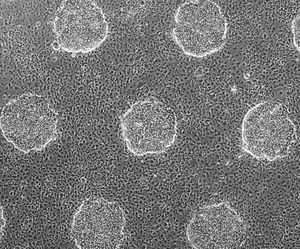 The patterning creates a microenvironment where primary hepatocytes retain physiological function for several weeks.